Fleet Street is on the move. | Come Here To Me! « Good times and good causes. A few forthcoming Dublin events. Fleet Street is on the move. Thanks to Luke Fallon for this image, showing that Fleet Street has somehow made the leap from Dublin 2 to Dublin 8. 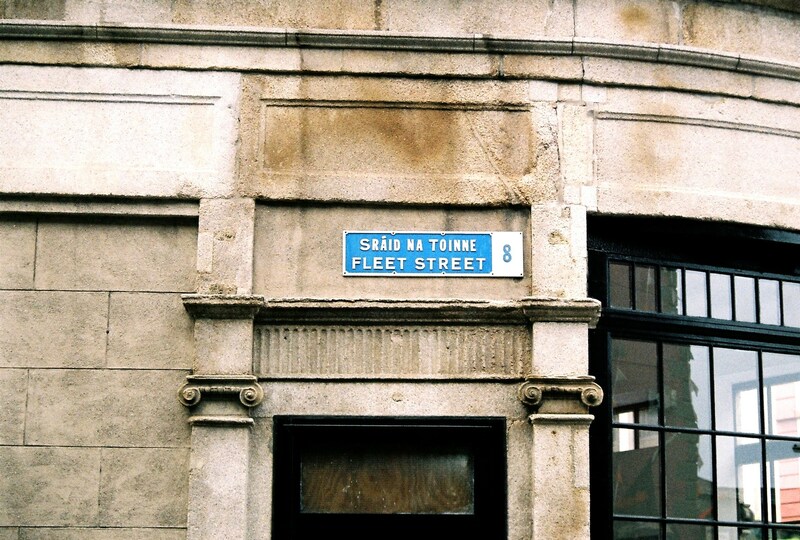 Street names and their origins is something that has long interested us on the blog, see for example this piece on names that survived the chop after 1922, including Nassau Street and Waterloo Road. We wonder how long the sign has been up!